Labrada Lean Body Meal Replacement Shake – Healthy or Not? 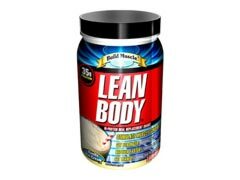 Labrada lean body protein shake was invented in 1995 by Lee Labrada, a professional bodybuilder. In a nutshell, these shakes were made especially for those people who hope to get a leaner physique. And, since it is a lean body protein shake, it only makes sense that people who want an effective and better way to gain some muscle mass are the ones who take it for the added protein in their systems. Without a doubt, eating regular controlled low carb, moderate protein and fat meals that are as close to nature as possible (hence, unprocessed) will always be the best and safest way to lose weight. However, since the world is moving so fast these days, it simply isn’t possible to sit down and eat a proper meal all the time anymore. So, how can you stick to a good eating plan if you are so busy all the time? Well, healthy meal replacement shakes are becoming acceptable alternatives, however make sure that you only drink them every now and then since no meal replacement will ever replace the nutrients that are contained in real foods. Meal substitutes have to be nutritious and filling, too, while ensuring that they don’t ruin your efforts of losing weight at the same time. So, at the very least, do try to plan ahead and choose replacement shakes that are filled with healthy nutrients, vitamins, and minerals, like Labrada lean body shake. On that note, you should also try your best to stop relying on Labrada lean body shakes far too much, as well. Ideally, you should limit their intake to once a week or save them for emergency situations. If you ever feel like you need a boost of fiber, then just supplement your drink or bar with some fresh vegetables or vegetable juice. Fiber from vegetables will work wonders. And why not pre-pack a few healthy low carb snacks if you’re on the go, as to avoid having to resort to meal replacement shake options? While Labrada lean body shake is marketed as being safe for those who want to stay fit and healthy because of its glutamine acid, vitamin and mineral complex, and protein content, the shake also contains several unhealthy ingredients that should be avoided, especially in those individuals who are allergy prone. The include natural flavors (which means a list of undisclosed potentially harmful chemicals), sucralose (sugar and especially artificial sweeteners suppress our immune system, are toxic to our bodies, and lead to an extensive list of health issues), milk (allergenic for lactose sensitive individuals) and soy (human carcinogen that contains MSG and other toxins). while you may be tempted to think that these meal replacement drinks must be safe because some athletes drink them after a workout when they need nourishment and can’t eat right away, consider the potential health risks associated with the harmful ingredients listed above and do try to choose a healthy snack and plan your meals instead. Grabbing a protein powder for women like Lean Body For Her may be great for women on the go, but as previously mentioned, they should never be used as a regular replacement of real fat burning foods.